This page contains examples produced outside the project. The aim to facilitate Municipalities and the public sector to prepare nZEB renovation projects. The page contains a short information and description of examples. To find out more about the other cases study produced outside the CERtuS project click the link that connects to the website of the building with the description of the renovation project and its purpose. 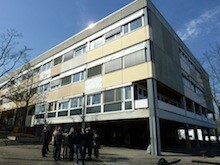 Address: Spechtweg 40, 70499 Stuttgart, Germany The entire school will be renovated because of structural damages. A holistic approach is intended with an improvement of the energy efficiency and of the indoor climate. The entire building envelope will be insulated and improved. As the boiler of the main building is relatively new (from 2004). Total floor area: 8924 m², (2038 m² are used for the gymnasium). 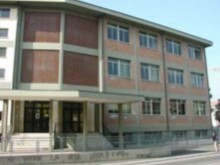 Address: via Tito Maccio Plauto, n. 4, Cesena, Italy The aim of the renovation is to lower the buildings net energy consumptions, from 154.3 kWh/m2year to 36 kWh/m2year, and to improve the indoor environment quality (air, daylight, acoustic, thermal comfort). Renovation works will have to be done without interrupting its functionality. 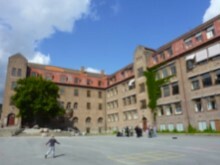 Address: Hedegårdskolen, Magleparken 8, 2750 Ballerup, Denmark The school is more than 35 years old and a renovation is needed. The roof is not weathertight, the windows are punctured and not tight and the insulation levels low. Also the lighting system is old-fashioned and consumes too much energy. Address: Iver Holters gate 48, 3041 Drammen, Norway Brandengen School has a listed building from 1914, which restricts the possibilities of refurbishment of the external facades. A study will be carried out to investigate the possibilities for extra insulation of the brick facades. 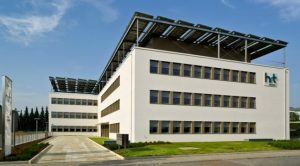 Address: Herten, Germany The purpose of this building was to establish a modern office building with an ambitious energy footprint. It combines high energy efficient construction with well-established systems of renewable energy like heat pumps and photovoltaic cells. The minimized energy demand for the energy service systems is annually balanced by a PV system. 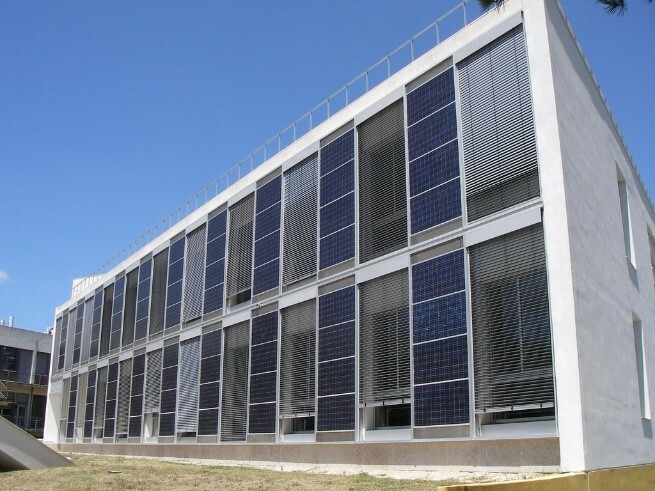 Address: LNEG-Paço do Lumiar 22, 1648-038, Lisbon, Portugal Solar Building XXI, built in 2006, at LNEG Campus in Lisbon, pretends to be an example of a low energy building using passive systems both for heating and cooling (ground cooling) towards a Net Zero-Energy Building (NZEB). The main façade has a PV system with heat recovery which assists the heating in winter time. In summer a ground cooling system (earth tubes) is used to cool the building, together with night cooling strategies. 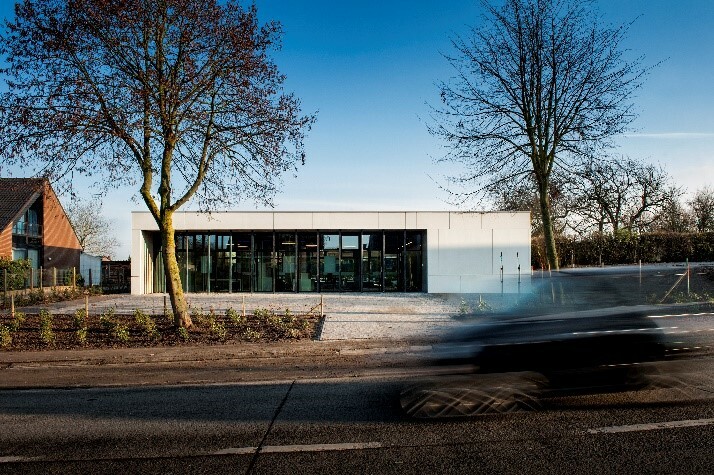 Address: Edingsesteenweg, 1755 Gooik The initial aim for the project was a low-energy bank office, whose concept could be used as an example for other KBC bank offices, but at some point the aim became to make the building a Nearly Zero Energy bank office. The overall consumption of the building is almost fully covered by photovoltaic panels and the users are very pleased with the indoor climate. 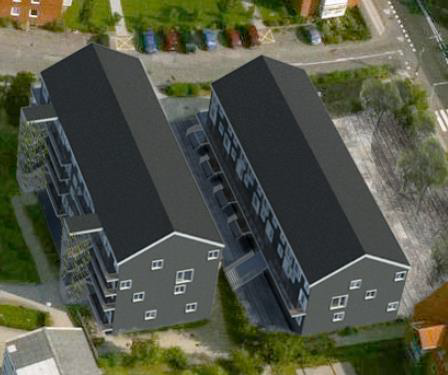 Address: Parkvej 3-5, 4000 Roskilde Renovation and transformation of a dormitory/day-care centre into 30 low-energy apartments: Improved thermal envelope, balanced mechanical ventilation system with heat recovery, improved architecture and PV. Danish Building class 2020 (NZEB). Address: Georg-Leinfelder-Straße 16, 86529 Schrobenhausen, Germany The requirements of DENA’s efficient house pilot project (2009) intended to undershoot the national energy saving ordinance EnEV by at least 15% (primary energy use). The resulting quality shows an undercut of 44%, including a very efficient ventilation system. Generated electricity is not taken into account in the calculation, but it would enhance the result further. 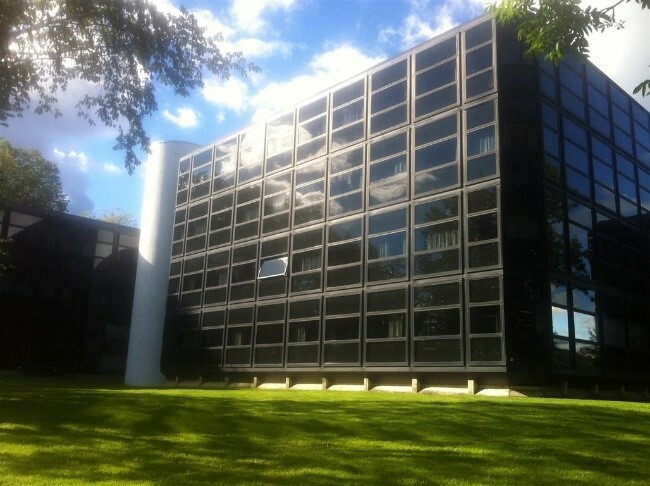 Address: Kjørboveien 18 – 20, 1337 Sandvika, Norway The project is the transformation of a typical 1980s office building into a plus-energy office building, generating more energy during its lifetime than what was used during the production of materials, construction, operation and demolition. 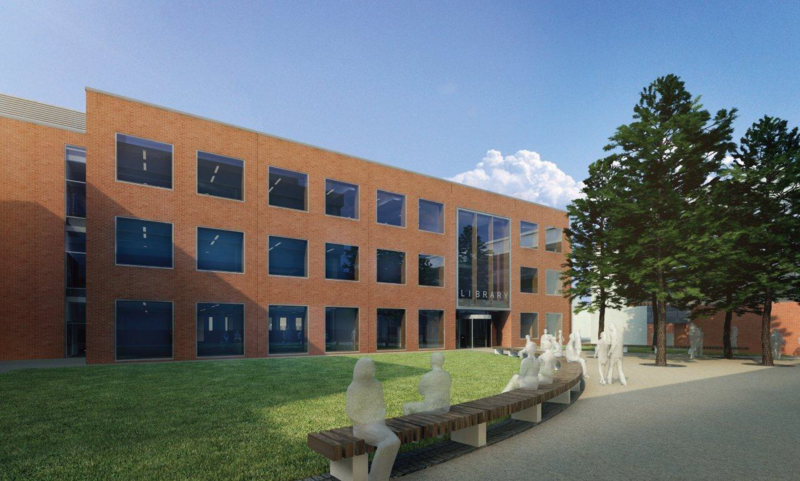 The project aims for a BREEAM-NOR \’Outstanding\’ classification. 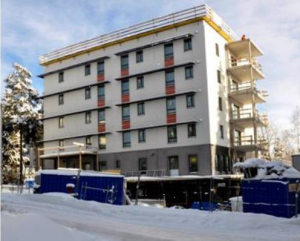 It will also fulfil all requirements in the Norwegian passive house standard for non-residential buildings, NS 3701. 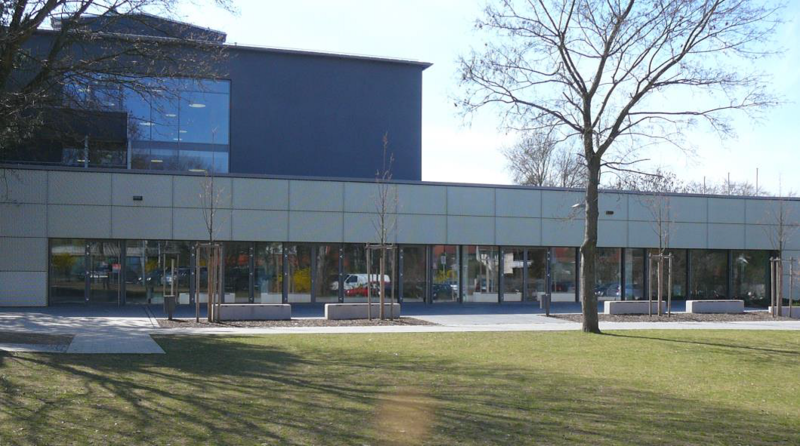 Address: Stratford Library and Learning Centre, University of East London, Romford Road, The aim of the project was to provide modern library facilities for the students of the university. 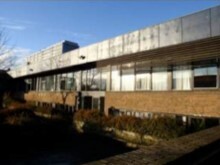 The building has achieved a design stage BREEAM Excellent (Higher Education 2008). Each energy-saving measure and lower small power loads build towards a reduction strategy far in excess of benchmark equivalents in the sector. Address: Jampankaari 4 ED, Järvenpää First nearly zero-energy house in Finland. The project was executed as a new construction project and a zero-energy house. The third stage offers 44 apartments for the elderly with memory disorders. 33 of the apartments are bedroom + open kitchen type and the rest 11 are group home apartments. 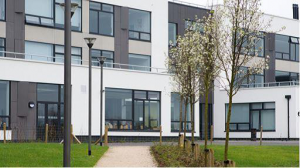 Address: Colaiste Choilm, O’Moore Street, Tullamore, Co. Offaly Coláiste Choilm CBS is a new three-storey low energy sustainable 550-student post-primary school in the centre of Tullamore. Over 21 different sustainable design aspects were reviewed and incorporated into the project. These include a rainwater recovery system which means that 65% of water is recycled, some waterless urinals, 120m of solar panels, intelligent lighting systems and bio-mass boilers. 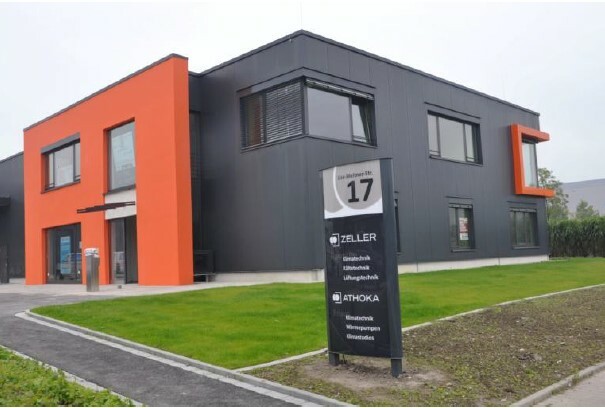 Address: 163 rue de Kiem – L-8030 Strassen Luxembourg The first “near-zero energy buildings” in Luxembourg. 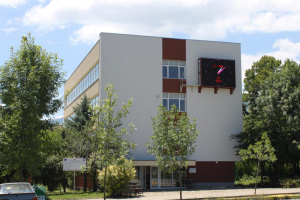 The consumption of 3500 m² building located between 100 and 110 kWh / m² / year. 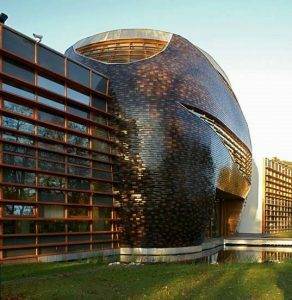 Awarded in October 2012 by the Award of Excellence International Real Estate Federation FIABCI Luxembourg for “Sustainable Building” in the category “Office Building”. Soria, 42290 Spain The objective is to demonstrate that bioclimatic architecture and low-temperature solar energy for thermal conditioning are the appropriate elements to achieve energy efficiency. The rehabilitation project provides a new use and a new distribution to the existing building. 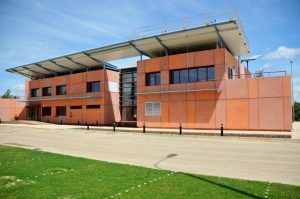 The new envelope changes openings and insulation according to façade orientation and bioclimatic solutions are proposed according to the building typology. 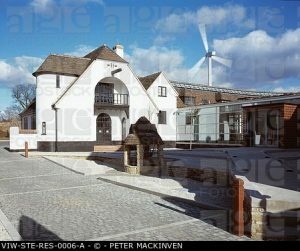 Hertfordshire, WD4 8LR United Kingdom The requirements for the conversion and extension of the former Ovaltine Egg Farm into offices was to use a range of renewable energy measures and employing “best practice” sustainable strategies. The original buildings now form the basis for the low carbon building, finding the balance between conservation and energy efficiency. Zeist, 3708 Netherlands RAU Architecture proposed using the existing building as the crux of the new one. Completed in 2006, the building is entirely self-sufficient, carbon neutral, and offers a good work environment for employees. The existing building is improved by a new addition, covered by tiles. It operates according to the principles if geothermal technology, incorporates triple glazed windows and photovoltaics panels. 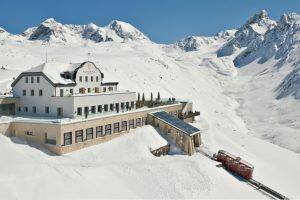 Address: Samedan, 7503 Switzerland The entire building was renovated, with main focus on environmental-friendliness, giving rise to the first plus-energy hotel in the Alps. Despite the 50% increase in size, it was possible to reduce the energy consumption by 64%. Hot water is obtained by means of solar energy produced, the building is supplied by geothermal energy and photovoltaic panels provide the necessary electricity.